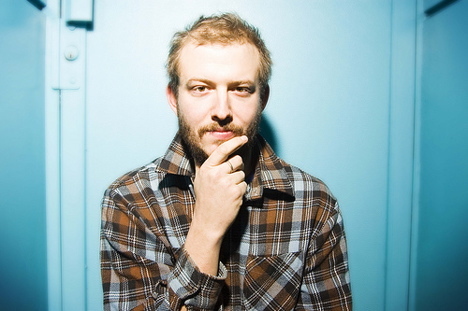 If youâ€™ve already heard of Bon Iver, you probably know the story of his first album: Justin Vernon, recovering from heartbreak, locked himself away in a cabin in mid-winter in the Wisconsin wilderness. Four months later, he emerged with For Emma, Forever Ago, a killer neo-soul album of "quiet folk and hushed intimacy.â€ Each song is a sad little gem, but together they build to the sort of melancholy youâ€™re happy to be in (ya know?). Itâ€™s one of those albums where you canâ€™t help but award each song five iStars. Critics and downloaders loved it, and so did Midnight Poutine, which has played Bon Iver on the podcast like, nine times now (you can search back for a listen). The band is in town tomorrow night and really, if you are going to miss this show, you better have a good excuse. Bon Iver's management allowed us to do a limited edition screenprint poster for last night's show in Detroit. Great experience, great music, great people & the poster turned out solid. Gold metallic ink. Check it out. Hot stuff Ike... is there a Montreal version? thanks for the tip! I didn't know him, think he's amazing. can't wait to see him.